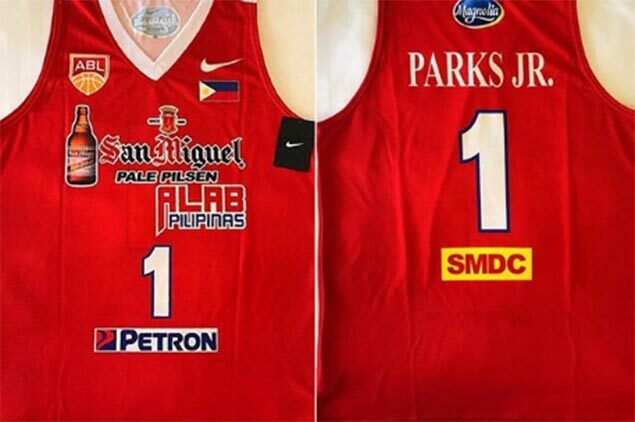 SAN Miguel Alab Pilipinas bared its new road uniforms ahead of its match against the Singapore Slingers on Sunday at the OCBC Arena in Singapore. 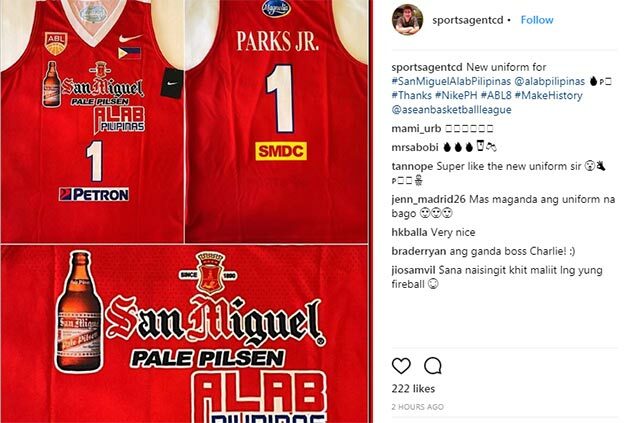 Team owner Charlie Dy posted a photo of the new red road uniform of the team that has the iconic San Miguel logo as well as a bottle of its well-known Pale Pilsen. Logo of Petron in front and Magnolia at the back is also prominent in the new uniforms following the entry of San Miguel Corporation as Alab’s new sponsor following the pullout of Tanduay. The new uniforms will be used on Sunday when Alab Pilipinas faces the Singapore Slingers on Sunday where the Philippine-based team has been near perfect. So far, Alab has won five of its six road games heading into the match against Singapore. The team is also coming off a morale-boosting win over Chong Son Kung Fu on Wednesday in Sta. Rosa, Laguna.